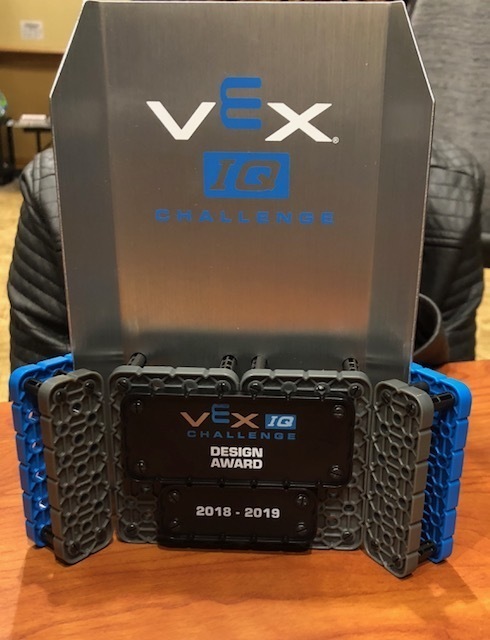 Out of 26 teams, our Rebel Robots competition team (Devan Brogan, Connor Galbreath, Matthew Harper, Braydon Lopez, and Jacob Wood) won the VEX IQ Design Award for their robot in the Next Level Competition sponsored by Henderson State University on November 3, 2018. 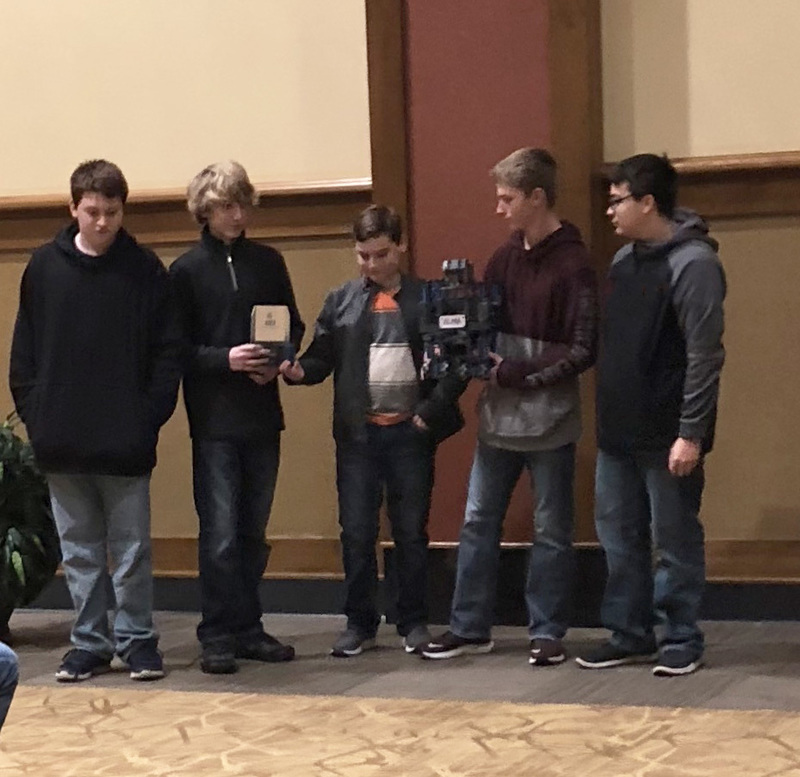 This award automatically qualifies them for the State Competition. 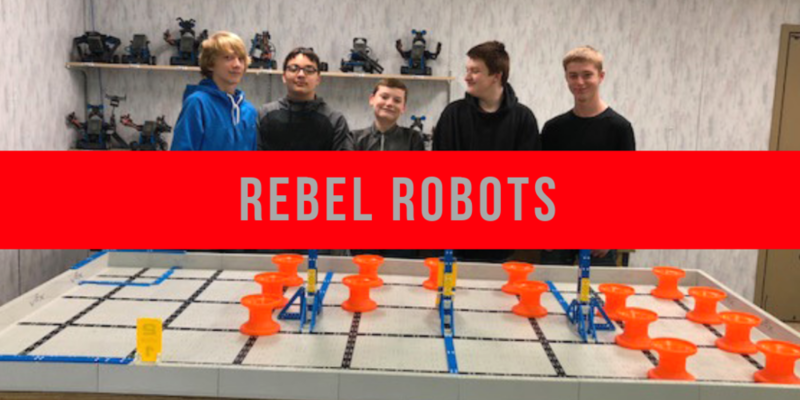 The award is based on their original robot design, their engineering notebook and an interview concerning their design process. They also took second place, although there is no award for that. 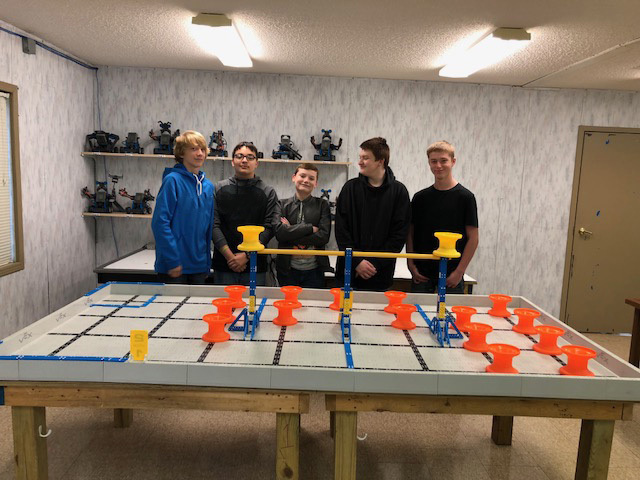 Now they are ready to fine-tune the robot in preparation for future competitions in an effort to win other awards prior to attending State at Arkansas Tech University on March 7, 2019! 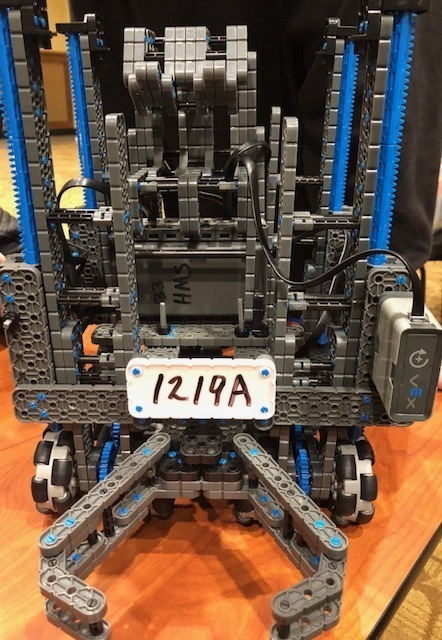 Because of spectator and judge input, the team has nicknamed the robot the Castle Elevator.